Below are scenes depicting days we've all had that just need to be OVER! I'm sure you can relate! I had just kicked back to watch a movie and they heard me open a bag of Cracker Jacks. Guess who got the prize? They found me again! The mermaids were the first to show up and one girl even had her scuba gear on. I thought for sure they were asleep somewhere in the house. Wrong! I had no privacy that night. They were very curious about this nightly ritual because most of them have lips but no teeth. Children, short adults, and elves are unable to sit. Seated here is a tall adult who has the proper sitting ability. Short minifigs do not even have that option built in. Mom cannot sit either in her dress. See that glimpse of her smile....she is bearing up bravely. Those of us with long hair cannot turn our heads! (unless it's in a braid) Are you hearing me? No peripheral vision! This is unsafe! Or maybe we should call it "no" hair issue now. You see, there's a hair shortage because so many of us come with hats and other head accessories. So when we remove our hats, we are all bald! Granted, that's the style these days, but this many of us?! 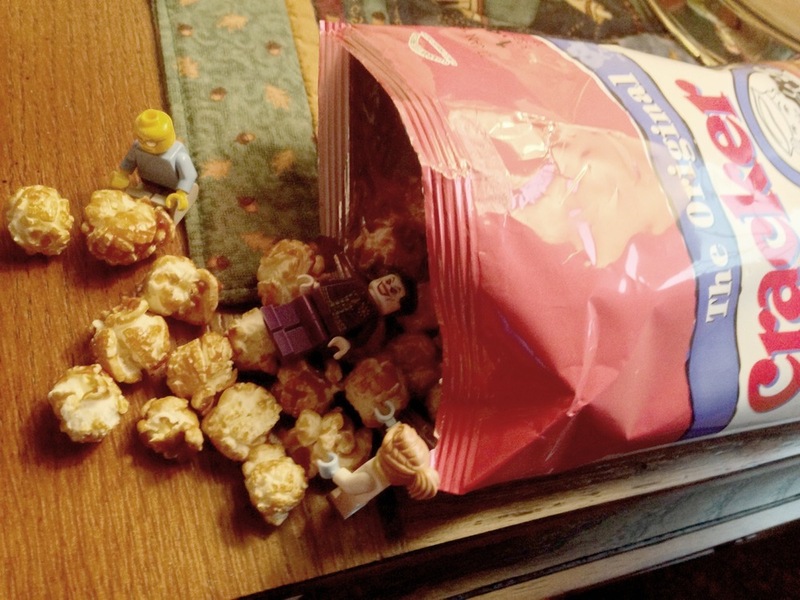 It gives viewers the impression we have a nutritional deficiency in our entire minifig population! Tammy had to purchase extra hair on ebay for a premium price just to have enough for some of our photo shoots. She got upset last week when someone misplaced an expensive hairdo. Hello from Batgirl and President Lincoln! As you can see, we look great! But when we remove our cowl and top hat, our hair (including facial) comes off too. This significantly alters our recognizability. Not good for such well-known public individuals. "I trust that these photos of me without my cowl will not go viral. Thanks, superheroes!" We are just a bit self-conscious because by age 13 we were already much taller than our dads and the boys we hope to eventually date. Hello! We are part of two generic building sets Tammy purchased. We are at risk of extinction because she refuses to purchase another generic set. Our legs have a slight bow and the holes in our feet are different than name brand minifigs. We sometimes pop off the floor plates or other items Tammy has attached us to. This usually happens when she's taking the picture. Consequently, we are not invited to most photo shoots unless she needs extras, or a victim, or hospital staff. This is our whole generic group; we're pretty close knit. See the lack of hair? We often go without because name brand minifigs have first dibs on all hair pieces. Sally couldn't even collect herself for this photo because she had been taken apart at some point for a previous photo shoot. (that's her on the floor) We've got our union rep looking into all this. After hearing the plight of the generics, I hope we don't seem trivial.....but lack of shoes leaves us very vulnerable in the outdoors. Even the horses have enclosed shoes so rocks won't go up to where their knees should be. (we don't have knees either but we'll quit. I think you get our drift: Stardom may look glamourous initially, but it has a dark side as well.